…whilst every man and his dog seem to be utterly engrossed in using Facebook to drive traffic, I (almost by accident) discovered that there’s a small group of very smart people out there, quietly driving insane amounts of free traffic to their websites every single day using Pinterest. Pinterest is currently the third most popular social media website online just behind Facebook and Twitter and is an absolutely amazing source of free quality traffic as you’ll soon discover. But more to the point it’s a source that almost everyone else is completely ignoring right now – which is fantastic because that means there’s more opportunity for you and I (and it doesn’t matter what niche market you’re in either). A Tremendous Audience – Whilst Pinterest might not be as “big” as Facebook and Twitter, there are still well over 70 million users worldwide (with 79% of those users located in the United States). That’s more people than the entire United Kingdom, not to mention that Pinterest is currently the fastest growing social media website with no sign of slowing down. 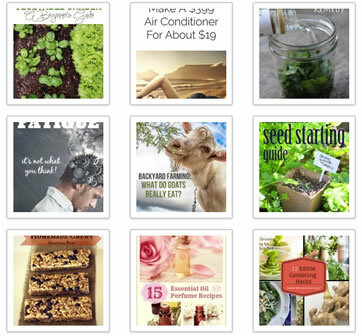 Massive Potential Reach – Each Pinterest user has (on average) 229 followers. That means that any time someone “repins” (shares) your content on Pinterest, you have the potential to reach another 229 people that have similar interests. Get 1,000 “repins” spread across your website content (easier than you might think with the right strategy) and your potential reach extends to a whooping 229,000 people! That’s some massive free exposure. LONG TERM Consistent Traffic – Unlike Facebook or Twitter where any content you might share will generate visitors for just a few hours (or a day or two if you’re lucky) when your content is shared on Pinterest it will generate visitors for months to come. That’s because anytime someone “repins” your content they’re creating a permanent reference to your website that their current (and future) followers can find. And again if you work to get 1,000 “repins” you’ll end up with 1,000 people permanently promoting your website for you. NO other social media website will provide such long term consistent traffic. 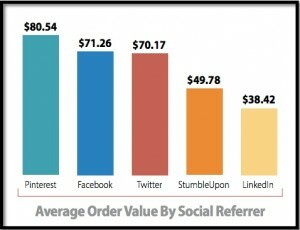 Extremely High Value – The average order value placed by visitors arriving from Pinterest is $80.54, compared to just $71.26 for Facebook, and $70.17 for Twitter (study conducted by Shopify.com). Quite simply Pinterest provides more “high valued” visitors in comparison to all other major social media websites hands down. Hundreds On Pinterest vs. Thousands On Facebook – For one niche site we manage we have more than 23,000 fans on Facebook and just 500 followers on Pinterest. And yet Pinterest sends us just as many visitors each day as Facebook (and is 100 times more consistent in doing so). That means you only have to build an audience roughly 4% the size required on Facebook to get similar results. That’s just a “no brainer”. …I could go on all day about how awesome Pinterest is as a traffic generation source, it’s without question become my favorite social media website to get exposure on, simply due to the long term traffic generation results you can achieve with very little effort. After all (unlike Facebook or Twitter) it was designed specifically as a platform for people to find, organize & share cool website content on. All you need to do is to get YOUR content spreading on Pinterest, work to build up your audience, and you’ll be away laughing too. That’s why I locked myself in my workshop for the past few weeks to create an actionable marketing plan to help you get started. 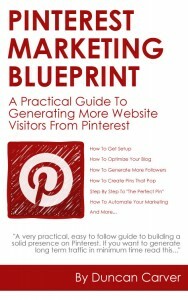 I’ve called it the “Pinterest Marketing Blueprint” and it’s a practical no nonsense guide to generating more traffic from Pinterest. There are a lot of people out there that simply create a Pinterest account and “sometimes post content here and there” just because they’ve been told that’s what they’re supposed to be doing. Whilst it’s certainly not difficult to setup a Pinterest account there are some very important considerations to keep in mind. We’ll look at preparing your website content (existing and new) to ensure it stands the best chance of spreading around the Pinterest community. What sort of content you should pin to your boards, how often you should pin, if you should be repinning “other people’s” content, why most of what you might read about “the best times to pin” is usually misleading, and how to setup automatic hands free pinning for all of your content. Unfortunately Pinterest has yet to roll out their “self serve” paid advertising platform to the standard Pinterest user just yet (although it’s not far away and it’s going to be an amazing opportunity for us when they do). So instead we’ll look at other simple yet very smart techniques you can use right now to help grow your Pinterest audience as fast as possible. The more followers you have, the faster everything will happen for you – quite simply you can’t have too many followers. The “Reverse Proverb” Pin – one simple tweak that will double your click through rates.. The “It’s A Matter Of Perspective” Pin – one simple design technique to generate 60% more “repins”…. Is This Blueprint Right For Me? If you’ve yet to setup a presence on Pinterest to help promote your website, or you’ve created an account but are truthfully “just playing around” with little real focus, then the Pinterest Marketing Blueprint has been designed specifically for you. It will give you a practical guide to generating more visitors and ensure you’re set up correctly from day one. And if you are “just playing around” at the moment, it will help you to focus and ensure you’ve got some very specific techniques & tactics you can start utilizing right now to get real measurable results, and more website traffic (i.e. a solid plan of attack). If you’re looking for a “magic bullet” and expect to get tens of thousands of unique visitors each day by the end of the week, then I’d suggest you look elsewhere. Again, this is a practical guide containing real world tested techniques that actually need to be applied. 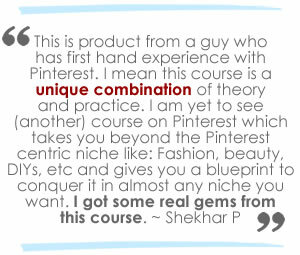 The Pinterest Marketing Blueprint is just a one time payment of $27. 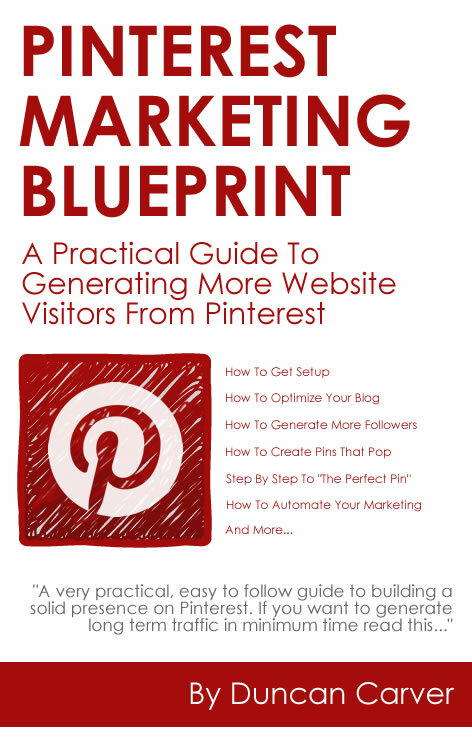 There are no “upsells” or “one time offers” that you don’t really need, just a simple, sensible, and very practical guide to generating more website visitors using Pinterest. It also comes with a 30 day money back guarantee so if you don’t think the Pinterest Marketing Blueprint has saved you countless hours worth of research and trial and error, just drop me an email within the next 30 days and I’ll refund the purchase price. PS: If you have any questions or need to get in touch with me for any reason, feel free to drop me an email.